Living a Fit and Full Life: FootMates - Comfortable Shoes for Kids and Beautiful Craftsmanship! FootMates - Comfortable Shoes for Kids and Beautiful Craftsmanship! From first walkers to trendy saddle shoes, FootMates is sure to please with beautiful craftsmanship and stunning eye appeal. In 1977, FootMates won the American Designer Award from the Leather Industries of America for its style “Todd”. While traditional styles like the Todd continue to be in high demand, FootMates strives to bring hot new options every season! Removable, dual insoles in Medium and Wide fitting provided for customized fitting. With its removable dual insoles, long counters, and child specific patterns, FootMates can accommodate customized orthotics and other Pedorthic modifications. Allows tiny toes room to breathe and splay naturally during walking, enhancing balance and reducing rubbing, friction, and moisture. Shoe last and insole designed to provide proper arch support for developing feet. Provides stable lateral support for new and confident walkers alike, improving balance, support, and posture. Double buckle closure for traditional adjustability and secure fitting. Single strap 'hook and loop' Mary-Jane closure for secure fitting and easy on/off. FootMates make amazingly comfortable shoes for kids and has beautiful craftsmanship! I had the pleasure of reviewing the Danielle and Lydia shoe from FootMates and let me just say I'm incredibly impressed. My girls love shoes! They love them so much that they wear them around the house and sometimes it's a struggle to get them to take them off before bed. My 4 year old is the most difficult because she also refuses to wear socks with her shoes and wants to wear her "pretty" shoes that rub up against her feet causing blisters and sores every single day. She puts them next to her bed and before she wakes me up in the morning she's already got her shoes on. When we got her FootMates Lydia shoes she was in love with them and began wearing them everywhere! She wore them outside to play, climbing trees, running through rocks and everywhere else. Just like her other shoes she refused to take them off when inside or wear socks with them. To this day they haven't caused a single blister or sore which has me pretty impressed. Another unpleasant thing that comes with kids not wearing socks with shoes is stinky shoes. These FootMates Lydia shoes don't even smell! I also cringed when I saw her playing outside in them and thought they'd be torn up for sure but they look brand new even though they've been put through a series of outdoor tests. My six year old is a little easier on shoes but absolutely loves her FootMates Danielle shoes! She says they're incredibly comfortable and feel good with or without socks. She often wears them without socks as well and they don't seem to cause any foot irritation what so ever. My six year old really likes these shoes and shows them off to all her friends who also seem to like them. I adore how cute the Danielle and Lydia shoes from FootMates are and I'm excited that my girls love them just as much as I do. 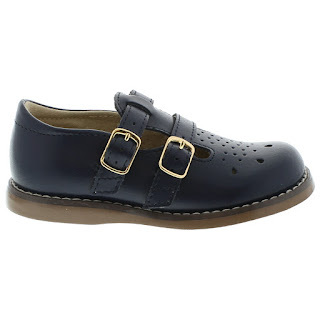 They are incredibly well made and are the perfect shoes for passing on to siblings since they hold up so well. 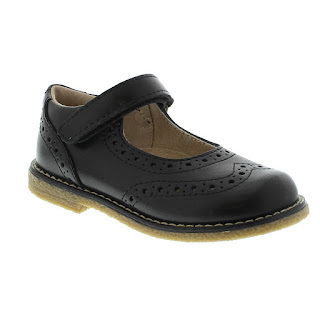 I also really like that the Danielle and Lydia shoes from FootMates also have arch supports, a roomy toe box and a firm heel counter all to ensure and support healthy foot development in kids! FootMates makes incredible shoes and I highly recommend them! Use code QUEEN15 to recieve 15% off all orders on www.badorfkids.com until 11/30/16! Click HERE to learn more about FootMates! 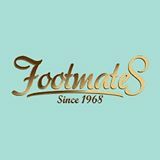 Follow FootMates on social media! Follow Badorf Kids on social media!